Stephanie graduated with a degree in Government from Smith, a small women’s college in Massachusetts where-to the consternation of her devoted professors-she was unable to master Latin. However, her focus on Middle Eastern Studies gave her a deeper understanding of the consequences of Egypt’s ancient clash with Rome, both in terms of the still-extant tensions between East and West as well as the worldwide decline of female-oriented religion. Before she wrote novels, Stephanie was a lawyer, a game designer, and a teacher. Now she uses the transformative power of magic realism to illuminate the stories of women in history and inspire the young women of today. She remains fascinated by all things Roman or Egyptian and has-to the consternation of her devoted husband-collected a house full of cats and ancient artifacts. Cleopatra’s Daughter — (2011-2013) Publisher: With her parents dead, the daughter of Cleopatra and Mark Antony is left at the mercy of her Roman captors. Heir to one empire and prisoner of another, Princess Selene must save her brothers and reclaim what is rightfully hers… In the aftermath of Alexandria’s tragic fall, Princess Selene is taken from Egypt, the only home she’s ever known. Along with her two surviving brothers, she’s put on display as a war trophy in Rome. Selene’s captors mock her royalty and drag her through the streets in chains, but on the brink of death, the children are spared as a favor to the emperor’s sister, who takes them to live as hostages in the so-called lamentable embassy of royal orphans… Trapped in a Roman court of intrigue that reviles her heritage and suspects her faith, Selene can’t hide the hieroglyphics that carve themselves into her flesh. Nor can she stop the emperor from using her for his own political ends. Faced with a new and ruthless Caesar who is obsessed with having a Cleopatra of his very own, Selene is determined to honor her mother’s lost legacy. The magic of Egypt and Isis remain within her. Can she succeed where her mother failed? And what will it cost her in a political game where the only rule is win or die? After the defeat and death of Cleopatra, her three youngest children were taken to Rome and paraded as spoils of war, then adopted into the household of the victorious emperor, Octavian. Of the three, the one who went on to make a mark on history was Cleopatra’s daughter, Cleopatra Selene. In Lily of the Nile, Stephanie Dray tells the story of Selene’s coming of age in Rome, with a magical element added. 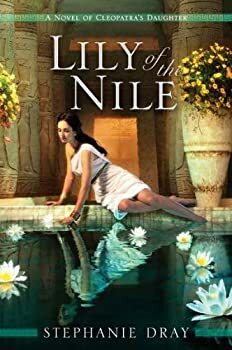 The sequel to Lily of the Nile, Song of the Nile by Stephanie Dray continues the story of Cleopatra Selene, daughter of the more famous Cleopatra. In this installment, Selene marries, becomes queen of Mauretania, and continually longs and schemes for the return of her birthright: the throne of Egypt. 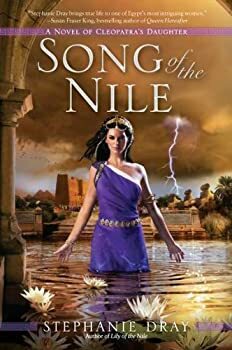 Song of the Nile begins with a prologue that refers to the myth of Persephone’s descent, and so we know from the start that this book will take Selene into some painful emotional territory. There are two elements here that may trouble some readers, so I’ll get those out of the way while also saying that, in my opinion, they are handled well and are not gratuitous. 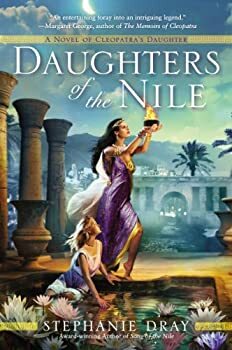 Daughters of the Nile concludes Stephanie Dray’s trilogy about Selene, the daughter of Cleopatra, who survived the fall of her mother’s kingdom and went on to become a queen herself. I’ve never been quite sure how to categorize this series — is it fantasy? is it historical fiction with magic realism? — but I’ve certainly been enjoying it.